On arrival in Equatorial Guinea it is hard to square the reality with preconceived perceptions of the place. After more than a decade working in the UK, Europe and in particular Spain, it is hard to remember any positive coverage of the country to carry with you on the six-hour flight from Madrid. Hollywood’s recent efforts (Wall Street II) to portray the country as a meeting point for complex global interests have not been much more favourable and if it hadn’t been for some revealing Wikileaks diplomatic cables leaked from the US embassy a couple of months before my decision to base myself in Malabo, the leap of faith would have been a far more daunting one. Yet on arrival in the island of Bioko, formerly known as Fernando Pó and now home to Equatorial Guinea’s capital Malabo, it is hard not to be impressed by the scope of the country’s oil-fuelled ambitions. First impressions last, they say, and it has to be said this small country is determined to leave an immediate and lasting impression on the increasing number of visitors passing through Malabo’s International Airport. Nowhere is the progress being made in this overly ignored corner of Africa more apparent than the African Union’s City of Sipopo. Sipopo is a 3,003,320 sq m, complex comprised of 21 infrastructure projects built by 10 different companies reflecting those countries with interests in shaping a new Equatorial Guinea. Companies from China, Turkey, Russia, Spain, France and Equatorial Guinea were all involved in carving this remarkable complex from the island’s virgin rainforest. Its very multi-cultural nature stems from the vision of Hassan Hachem, a French-trained architect born in Senegal to a family of Lebanese immigrants. He has become the mastermind behind much of the country’s recent transformation and is a good example of the can do attitude at the heart of the country’s decision-making process. 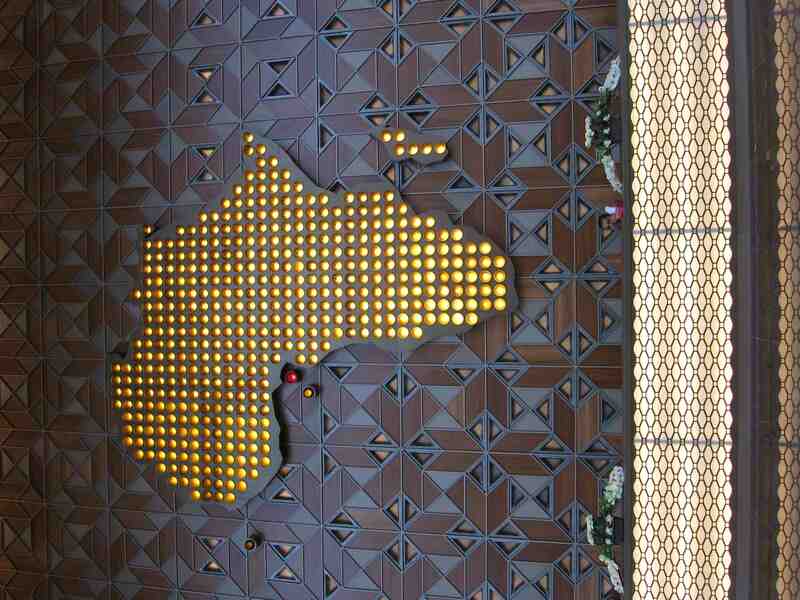 The complex was built in record time to leave an impression on leaders from Africa at the recent Summit of the African Union. 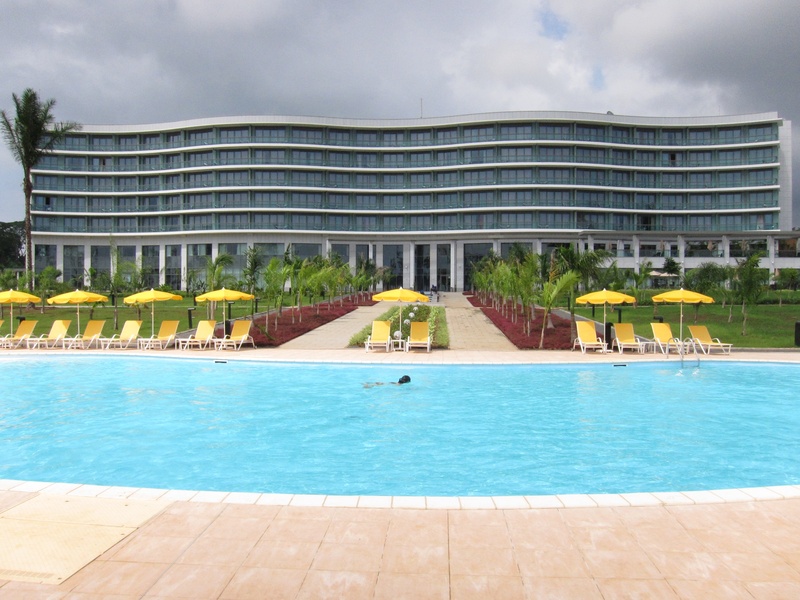 President Teodoro Obiang’s government ploughed €580m into the tourism complex, which has been held up as part of a plan to diversify the country’s income streams away from petroleum towards other industries. The oil business today accounts for 95% of the country’s gross domestic product and the government is keen to reduce its reliance on petroleum. It is a formula being deployed in other oil-rich countries like the United Arab Emirates on an even larger scale. 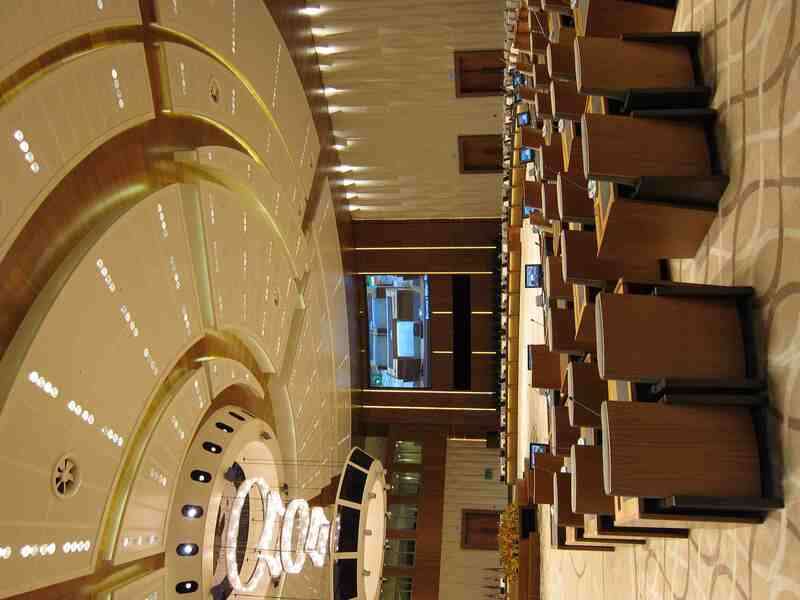 At the heart of the Sipopo complex are two world-class conference centres. The newer, Turkish-built conference centre, a kind of square bird’s nest shaped from steel and cement was built in just six months by the Istanbul-based construction company, Summa. 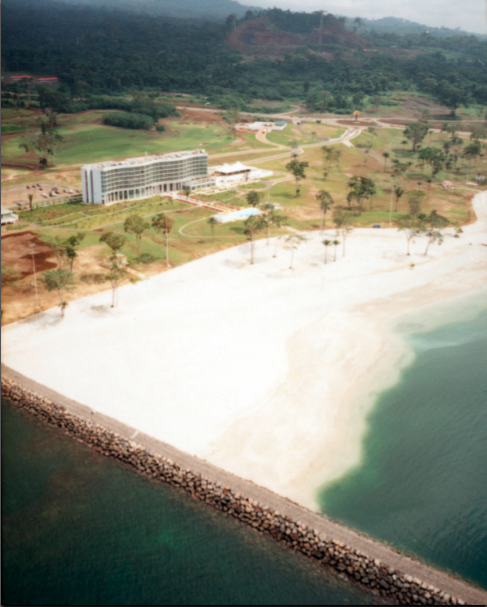 A 300-room golf and beach resort operated by the French chain Sofitel was also constructed by French group Bouygues to coincide with the meeting of the African Union in Malabo. Its 1 km of beach and 18-hole golf course will no doubt prove popular with the international business executives pouring into the country in search of new opportunities. It is a bold proposition to embark on such an ambitious project in such a short period of time but it seems symbolic of the country’s commitment and confident desire to transform its international image and project itself in the international arena. The conference centre is due to host another summit between African and Latin American leaders in November and the Africa Cup of Nations football competition will also attract visitors to the island and the continental mainland in January. They are important pillars of the government’s strategy to open the world’s eyes to the changes taking place in this intriguing and little known enclave of Africa.